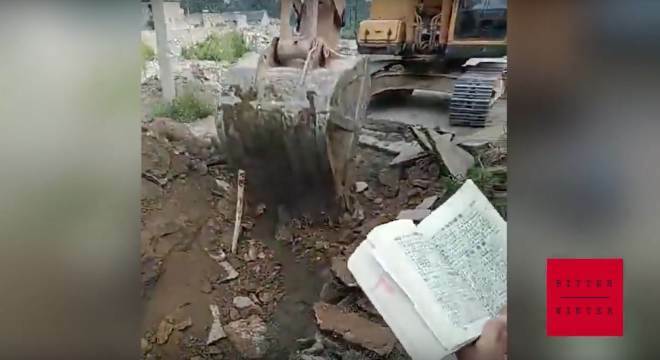 Two Protestant Three-Self churches in Henan Province were recently demolished after a round of harassment and without providing to the congregations any credible explanation for their actions. 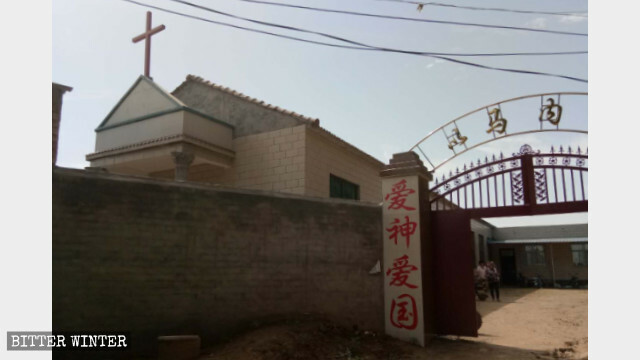 On the morning of October 29, Xinxiang city government officials accompanied by police officers stormed into a Three-Self church in Zhaochang village. Members of the congregation rushed to the church but were stopped by the officers who cordoned off the area. 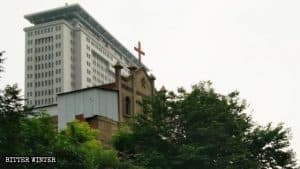 The Three-Self Church in Zhaochang village before demolition. According to eyewitnesses, officials directed an excavator to drive into the church, first, toppling over its gate and courtyard walls. In less than an hour, the church was turned into a pile of ruins, and everything in the church was destroyed. Before the demolition, the church had already been subjected to repeated restrictions and suppression from the authorities. In May, the church’s cross was forcibly dismantled. 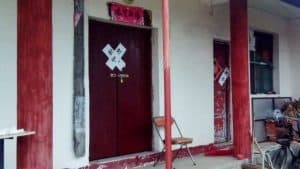 In August, the authorities ordered believers to stop holding gatherings, and one month later, the church was sealed off and emptied out. 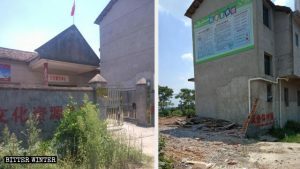 The Caodian Three-Self Church in Pingdingshan city’s Lushan county was forcibly demolished on September 7. 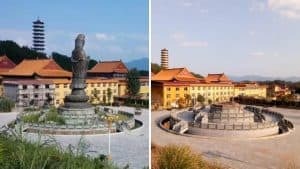 According to sources, the church, which could accommodate gatherings of more than 300 people, was jointly funded by local believers, who spent 400,000 RMB (about 58,300 USD) to build it in 2017. 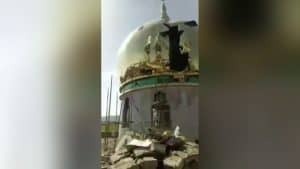 Witnessing the destruction of the painstakingly built church, its leader fainted to the ground and had to be hospitalized. 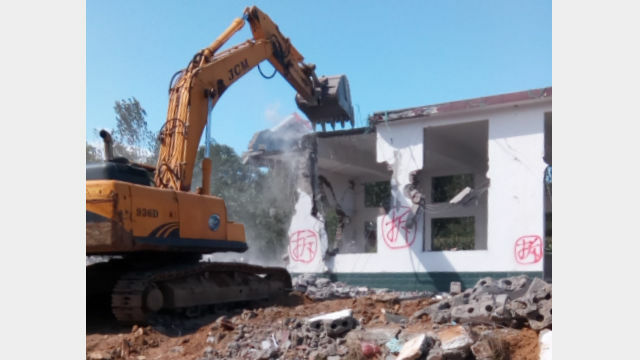 The demolished Caodian Three-Self Church. 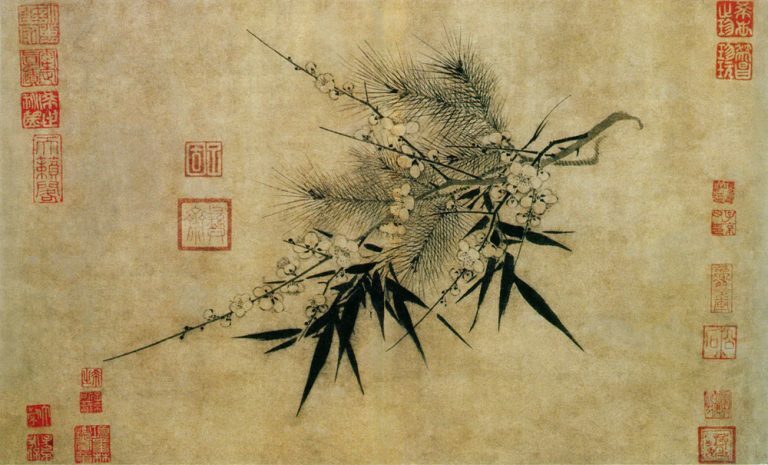 According to the members of the congregation, in early August, the local Land Management Bureau ordered the church to pay a fine of 7,000 RMB (about 1,000 USD) on the grounds that the church was “illegally occupying the land.” After the fine was paid, the Bureau’s personnel promised the believers that they could hold gatherings as before. Instead, less than one month later, authorities destroyed the church.